The two were declared winners following an overwhelming vote from their VIP guests, who collectively became the third judge, after completing the competition’s final stage where they furbished an apartment’s interior from scratch in just 72 hours. Deankie and Tiara, who are friends since they were art students, competed neck and neck with the other finalist tandem, Yvette from Australia and Sonya from the United Kingdom. The show’s host Jamie Durie voted for Yvette and Sonya while English homestyle consultant Laurence Llewelyn-Bowen chose the Filipino designers. “The Apartment - Design Your Destiny” season finale this year was held in an open house party. 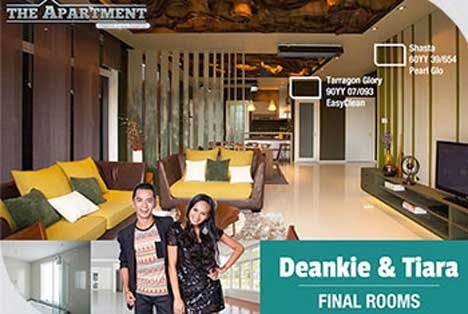 Deankie and Tiara won a brand new double-storey home at Elmina, Malaysia. Replays of the interior designing show can be watched on Star World cable channel.